As an Administrative Library Assistant at NorQuest College, I help students, staff, and the public meet their library needs. At the circulation desk I assist with accessing library resources, navigating the NorQuest College website, and aid library clients in developing the appropriate research and citation skills necessary for academic success. Additionally, as the Administrative Library Assistant I manage NorQuest College Library's invoices, scheduling, bookings, statistics, library promotion, and resource updating. As the Library's Acquisitions Technician I am responsible for purchasing resources for the library collections. You will also find me at the front desk assisting students and staff. I am a Library Assistant at the Westmount Campus Library working in a shared position with Rita Jandrey. I am responsible for the day to day operations of the library including opening and closing, circulation, assisting faculty and students in finding materials to support projects, and pulling appropriate level reading material for student use during scheduled library times. I really enjoy helping students practice their growing English language communication skills! 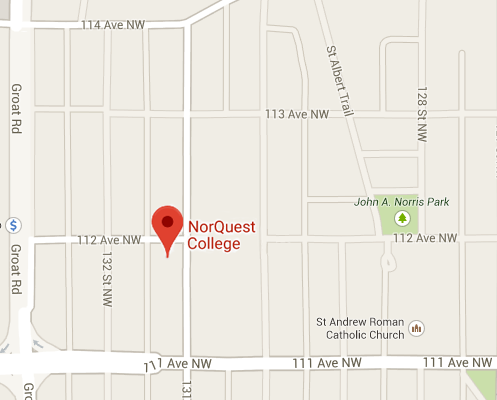 My job as a library assistant for NorQuest College allows me to serve the students, staff and members of the public. I assist them in providing instructions as we journey through the wealth of library resources seeking pertinent findings. I also provide information to students on subjects of scholastic interests. When I’m not serving the students and public at the front desk, I am performing other tasks including scheduling, bookings, statistics, taking minutes at staff meetings and other administrative duties. As a library assistant, I organize and shelve books, help students find resources, and provide help with citations. Feel free to stop by at the front desk to ask questions or just say hi! I oversee the very capable operations that collectively make up the Academic Support Centre. This includes the following services: library service; writing centre; tutoring and coaching service; testing and assessment. Together, we strive to develop self-sufficient learners who are confident in their academic pursuits, research skills, and problem resolution. As head cataloger, I am responsible for the organization and classification of the library's print and audio-visual resources. I lead the Collection Development Team, I manage the operations and staff of the Westmount Campus Library and I supervise the part-time Library Assistants. You will also see me at the front desk assisting students and staff. I love investigating and implementing new technologies. I provide support for the library's technology and lead the purchasing and cataloging team. I troubleshoot any problems with off-campus access to our ebooks, databases or online video. I select materials for our Easy Reading and Paperbacks collection and am very interested in promoting the benefits of reading to our students. As an instruction librarian, I provide support for on-campus and distance students to help develop their research, citation and critical thinking skills. I teach classroom instruction sessions and meet with students for face-to-face and online appointments. I am also developing online interactive tutorials which focus on many essential library skills. I am responsible for teaching and leading the ongoing development of our library's information literacy program. Our program includes classroom instruction sessions, face-to-face and online appointments with librarians, teaching and curriculum support, and online tools—all designed to develop students’ research, citation, critical thinking skills while promoting lifelong learning. I feel very fortunate to be part of this great team! As the Student Engagement and User Experience Librarian, my role is to connect with non-academic communities and groups around campus and support them in their projects and goals through resources the Learner Centre can provide. I am also responsible for looking after the NorQuest Library's social media accounts, organizing events in the Learner Centre, and helping students with research and citation though the Writing Centre. In my spare time, I teach aquatic lifesaving and first aid courses and train new swimming instructors for the City of Edmonton, and enjoy playing board games of all sorts with friends. As a library assistant, I welcome students and staff at the service desk, on the phone, as well as on online chat. You can ask me about citations, getting started on research, and accessing resources. I am a Library Assistant at the Westmount Campus Library working in a shared position with Cathy Hergert. I am responsible for the day to day operations of the library including opening and closing, circulation, assisting faculty and students in finding materials to support projects, and pulling appropriate level reading material for student use during scheduled library times. It is a pleasure helping students achieve their English language goals. As a library assistant I shelve and organize materials, help students and staff find and access resources, and provide support at the front desk. I teach citation, research and evaluation skills. I create new research guides and tutorials that promote information literacy. I enjoy doing research, fixing technology problems, and helping students. You will most often find me at the circulation desk helping students with a variety of questions, from how to cite using APA, to locating the bathrooms and everything in between. When I'm not on the front desk, I work in the back room scheduling staff and booking rooms for library instruction among other things. I love helping students find relevant information as well as promoting literacy and lifelong learning. 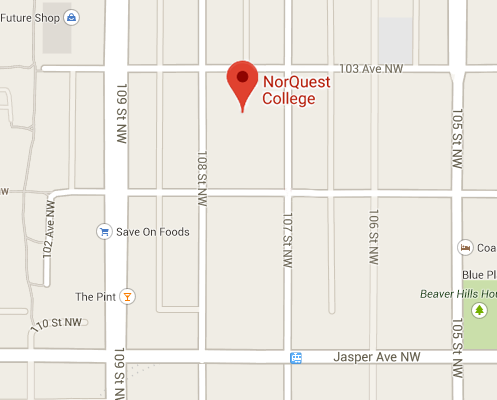 As an instruction librarian, I teach research skills, information literacy skills, and APA and MLA style citations at the NorQuest College main campus. Stop by the Learner Centre every Wednesday at lunchtime to relax, unwind, and be guided through a meditation with one of the Wellness Coaches from the Centre for Growth and Harmony. Mindful Minute sessions will be held in the Awareness Alcove (the TV area to the right of the Learner Centre entrance). The Learner Centre will be changing its opening hours over the interterm break and between May 6-June 29, 2019 for the Spring 2019 term. During the week of April 29 to May 3, 2019, the Learner Centre will have reduced hours for the interterm break. We wil be open 8:00AM - 4:30 PM Monday - Friday of that week and closed Saturday May 4. The drop-in research and citation hour (noon-1pm, Monday-Thursday) will be suspended during the Spring and Summer terms. 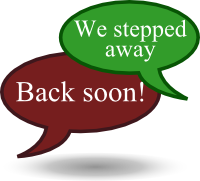 During the summer term (July-end of August 2019), the online Writing Centre booking tool will be closed. If you need to talk to a librarian for research and citation help, you can email the Writing Centre or call the library desk and ask to make an appointment. if you are in Edmonton, use the drop-in service on-campus. The library actively supports the academic mission of the college, inspiring life-long learning, collaboration and discovery within and beyond our physical spaces. We engage with our diverse college community to foster critical thinking, creativity, and learner success. The library adheres to the Canadian Federation of Library Association’s (CFLA) statement on Intellectual Freedom. That statement is available through the CFLA’s website. This space is dedicated to the transparent reporting of all challenges to the legitimacy of library material; choice of library content; nature of library events or guests; content or placement of library displays. NorQuest College Library is committed to a fair and transparent dialog regarding a request to reconsider library materials or events. Try contacting a librarian via chat chat or the form below.